Trailer Stage hire Our brand new 2017 model 8m x 6m arc roof stage. 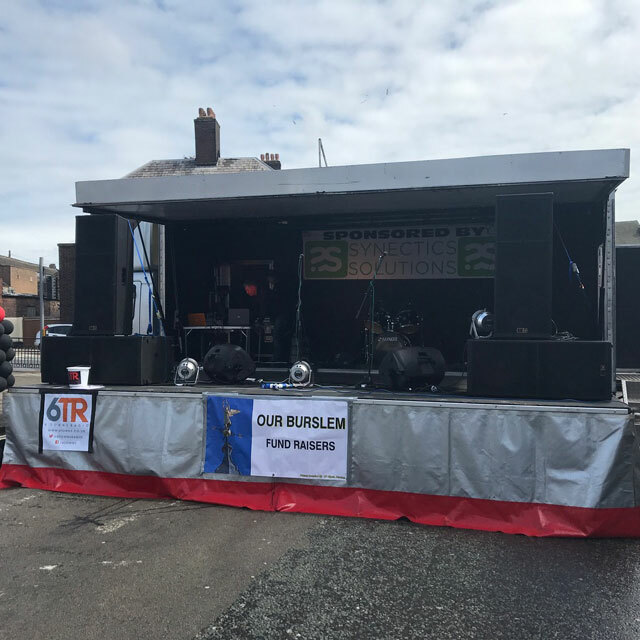 This brand new mobile trailer stage comes with (if required) PA wings and is the top of the range trailer stage model which is equipped with electric motors to raise and lower the roof!. XS Events have a wide range of simulators for hire. We have recently updated what we can offer with brand new 2017/ 2018 models. There are full motion simulators, virtual reality simulators and linked simulators. 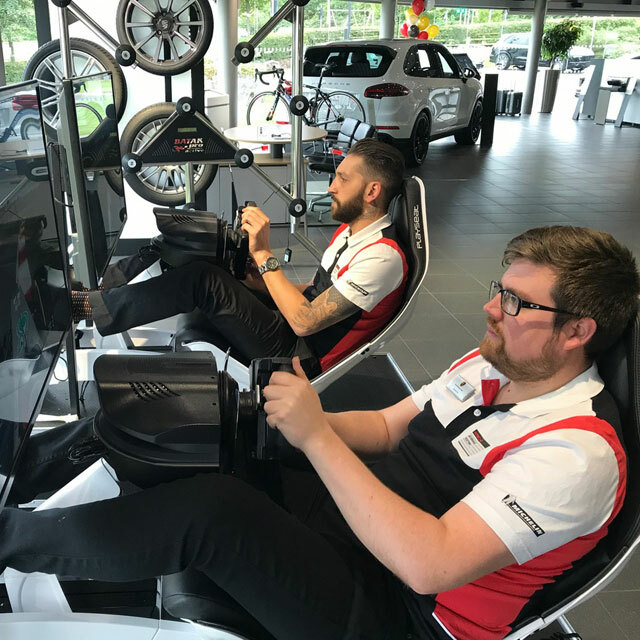 New for 2018 are our virtual reality simulators and full motion simulators. We have a good selection of entertainment to make your event stand out. We supply Batak reaction games, a good range of racing simulators, a giant scalextric, radio control cars, and lots more. Please have a look at a selection of what we have here. If you cant see what you’re after give us a call and let us source it for you. 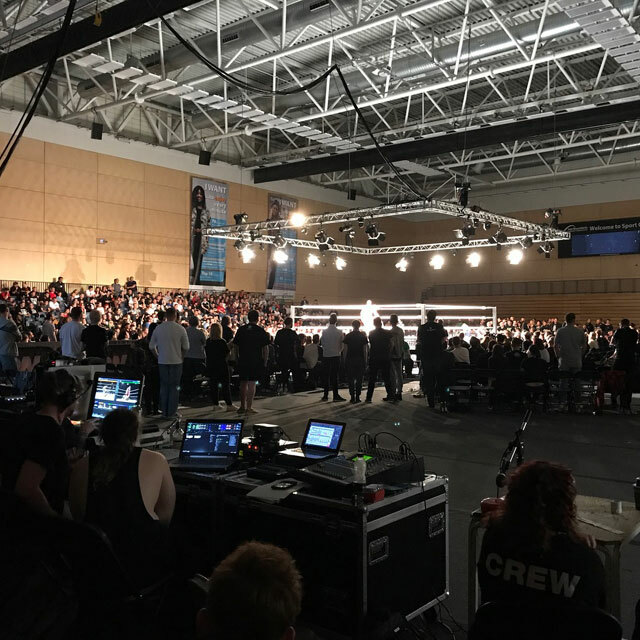 In addition to supplying the stage, we can also supply the PA and lighting for you. We have a new line array system for 2018 which we can fly from flying towers on our stages. 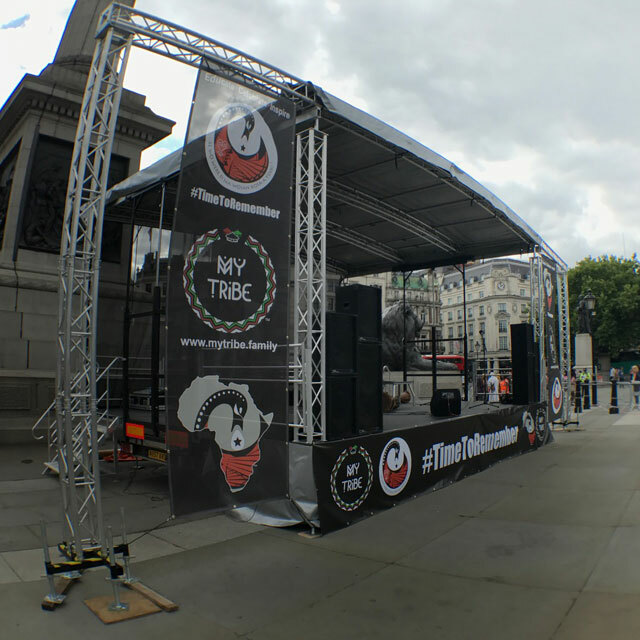 This will cater for up to 2000 people and is perfect for a small to medium sized festival. Enquire about our total wipeout course. This course was inspired by the tv show and is a winner at any corporate event. 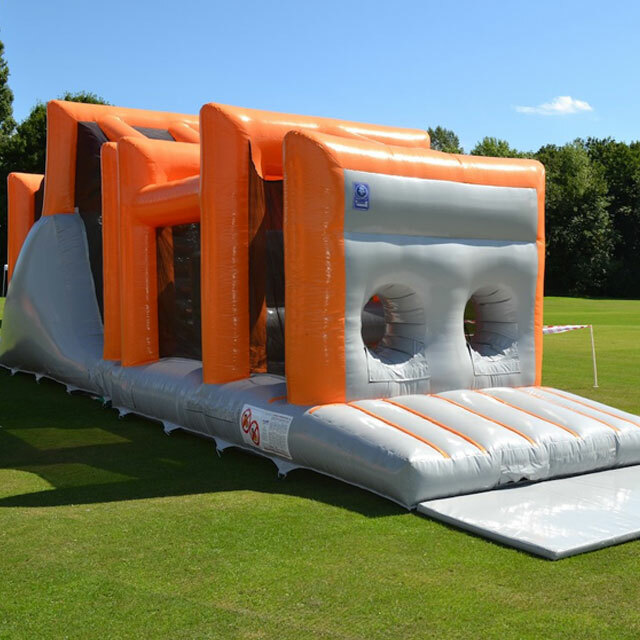 This inflatable course is a new take on its a knock out and is suitable for up to 500 people over a day. Our wipeout course offers all the thrills of the TV show, at an affordable price per head. Check out our amazing giant water slide for hire! XS Events have been hiring out giant slipnslides for a number of years. We can hire a slide to your corporate, charity or commercial event that is anything from 40m to 200m in length. Virtual reality (VR) is the buzz word at the moment! XS Events have invested heavily in the best virtual reality equipment to hire to your event. We are running the latest Oculus rift technology on the latest and most powerful gaming PC’s. 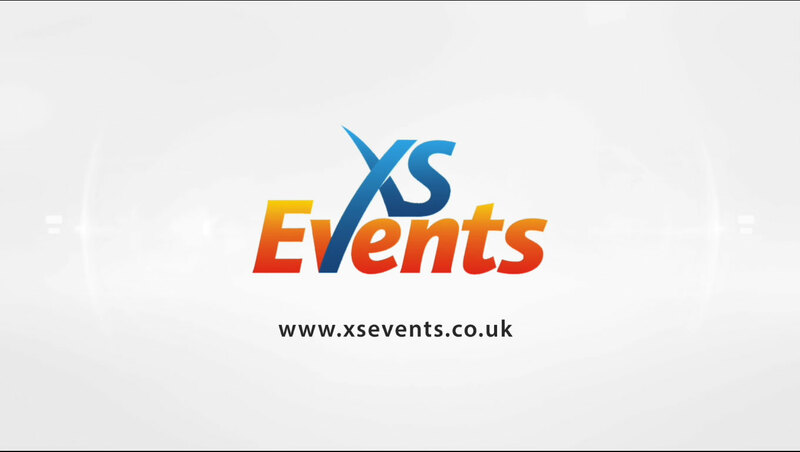 XS Events was originally a bungee jumping company called Bungee Extreme. Over the years we have moved away from bungee jumping to become a one stop shop for corporate entertainement activities.